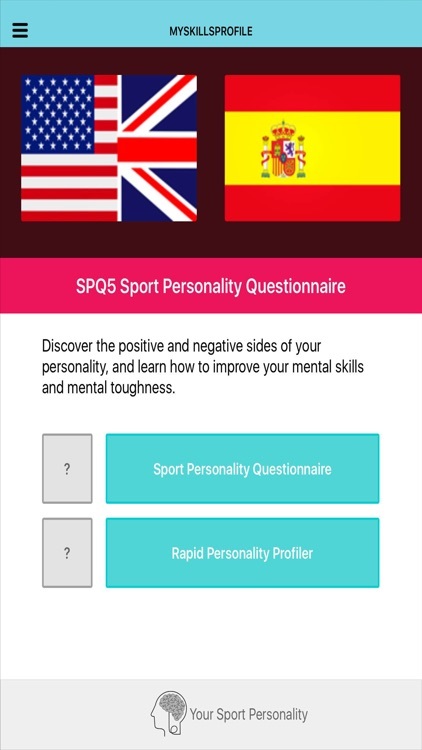 This is the ad free Pro version of the Sport Personality Questionnaire app designed for coaches and sport psychologists. 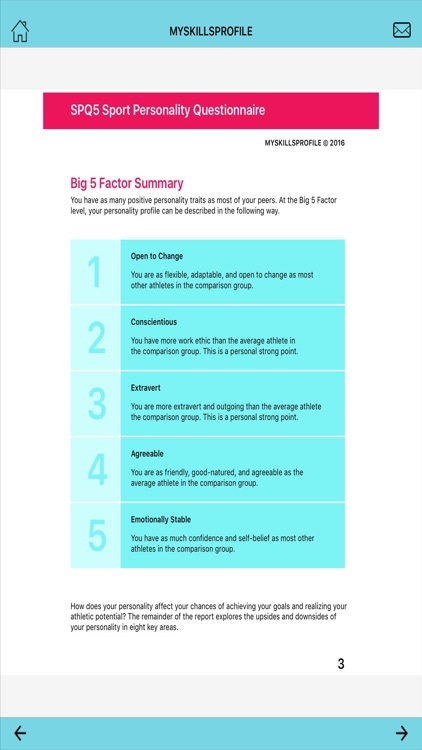 A rapid but scientifically robust sport personality assessment test summarizing an athlete's personality profile across five broad areas of personality known as the Big Five factors or OCEAN factors--Openness to Change, Conscientiousness, Extraversion, Agreeableness, and Neuroticism. The athlete completes a short personality questionnaire covering fifty trait adjectives. 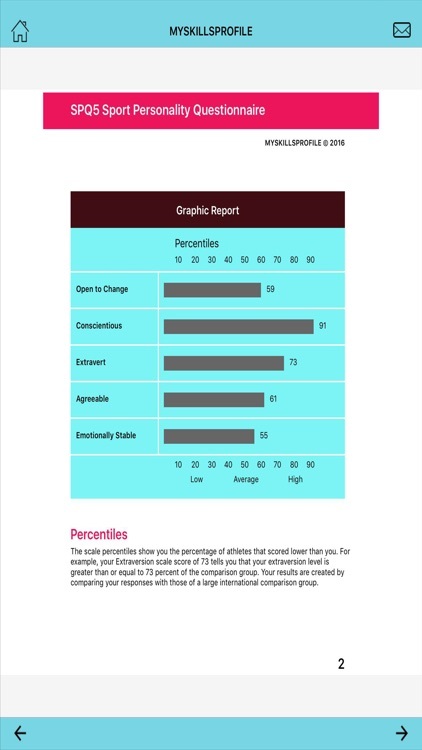 The app provides a graphical profile chart in percentiles and a concise feedback report. 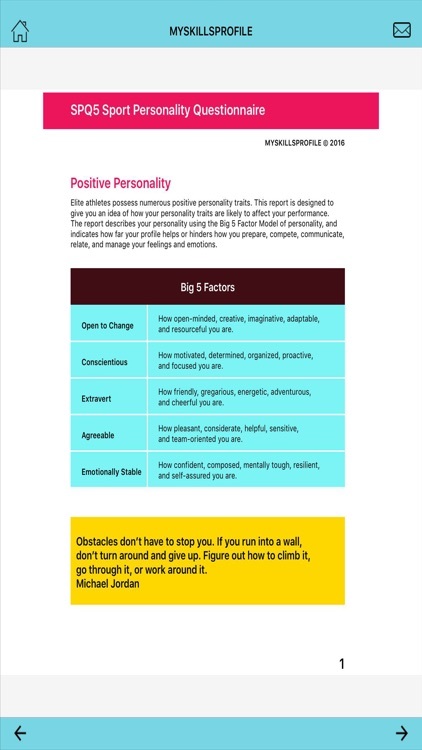 The report covers the athlete's personality profile against the Big Five factors, and then looks at four key areas of job performance--work ethic,thinking style, relationships with people, and feelings and emotions. 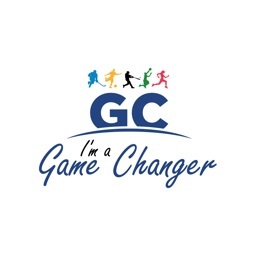 The profile is generated by comparing the athlete's responses with those of a large international benchmark group of 7,000 respondents. The profile chart and report can be generated based on normative scores, ipsative scores, or a dual band scoring approach. 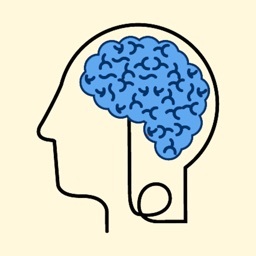 There is no limit on the number of times the assessment can be taken. 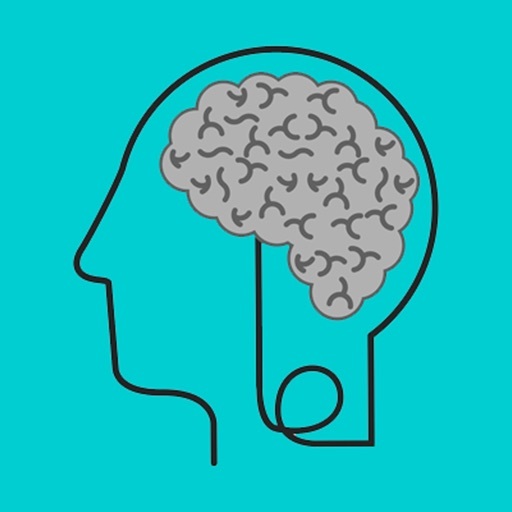 The test meets many of the key design and technical standards of a modern personality assessment test. 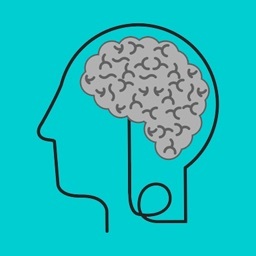 This is the perfect tool to help you understand your personality and mental toughness. Your privacy is protected. 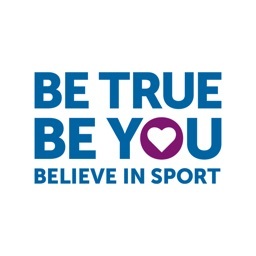 There is no registration process and we do not ask for your email address or any personal information. Once you exit the app, your test responses are lost. There is no internet link between the app/your device and MySkillsProfile's server.